Am I An Engineer? : Hardness - How Hard Is Hard? So if you press a finger with a certain amount of force onto a piece of sponge, and the same amount of force onto a piece of steel, you will feel that you could deform the sponge more than the steel, hence the conclusion that the steel is harder. But you will also realize that the force could be applied in different ways – you could press or you could scratch. Even pressing onto a surface depends on the surface area of contact – a sharper item could go deeper into an item compared to a rounder contact. In view of the complexity involved behind the deformation of material under force, this property is usually measured in 3 different ways, thus generating 3 different hardness types: indentation hardness, scratch hardness, and rebound hardness. Indentation hardness: measurement of the resistance to permanent deformation from the effect of a constant compression load from a sharp object, applied within a predefined period of time. Defined by measuring critical dimensions of the indentation left by a specifically dimensioned and loaded indenter. Scratch hardness: measurement of the resistance to fracture or permanent deformation due to friction from sharp object. On coatings, this is the force necessary to cut through the film to expose the substrate. Rebound hardness: measures the height of the bounce of a measurement device dropped from fixed height onto the material. 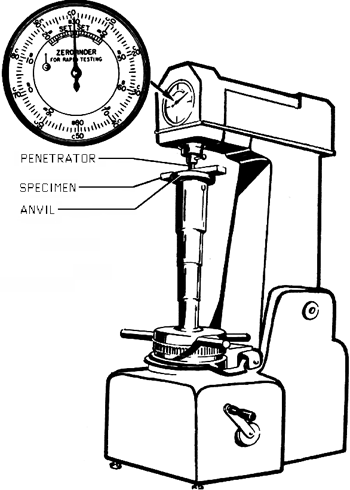 An image of a Rockwell Hardness tester. Indentation hardness has a variety of testing methods, thus generating a variety of test equipment. Even so, all of them are performed based on the same concept, only the indentor and defined load is different (image taken from The Free Dictionary). The measurement method depends on the area of application, and it is usually sufficient for only one of the above methods to be performed. 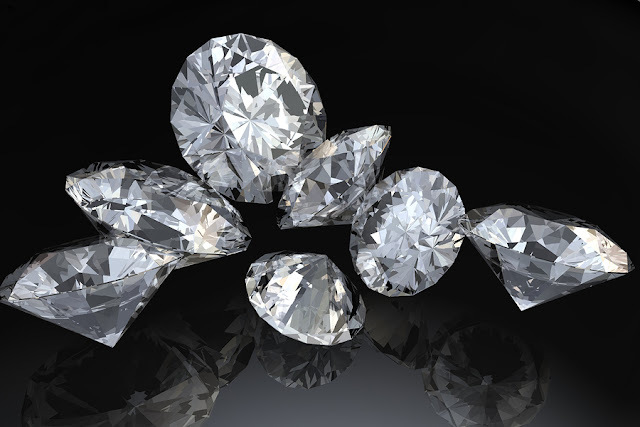 Scratch hardness is usually synonymous with scratch resistance, and is more of a surface property than a bulk property, although the latter is not without its role. This is usually applied to test coatings, plating, and other surface films. Indentation hardness is closer to the general understanding of the term “hardness”, and it is also the method with the most different equipment to measure. This is because more study had been done in this area, and different material and application requires equipments which are more suitable than others. Rebound hardness is less applied in hardness measurements. Also known as dynamic hardness, this is more applicable to testing the elasticity of the material, with more elastic material allowing a higher bounce of the measurement head.